Only a quarter of the students diagnosed with mental health conditions are seeking support from the Yale-NUS College wellness department, suggests a report by the Yale-NUS Student Government. 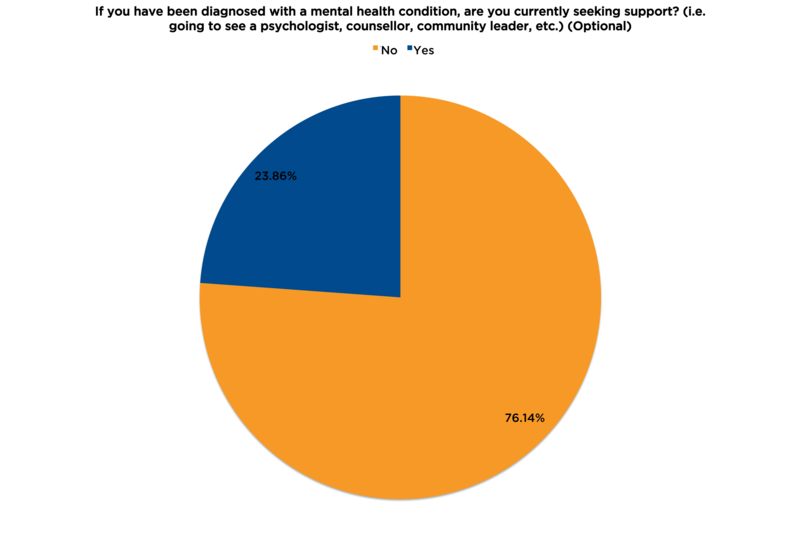 In the survey, only 23.86% of the 69 respondents diagnosed with a mental health condition are currently seeking support. The report was written using the results of the Student Life survey, a questionnaire distributed to all Yale-NUS students via Facebook and email on Oct. 14. Of the 396 respondents, 17.44% indicated they have been diagnosed with a mental health condition by a professional but less than a quarter said they sought assistance from the Wellness Centre. Despite efforts by the administration, respondents said that students were discouraged from seeking help due to stigma surrounding mental health. According to the report, a majority of respondents to the community section of the survey said that they did not feel able to speak up about the mental health issues that they faced. These respondents said there is still a stigma attached to mental health and that high-stress levels had been normalised in Yale-NUS. While they said that awareness of mental health had improved, respondents said that it could still be more proactive. Similarly, Sara Amjad, Manager of Diversity and Inclusion said that the college attempted to destigmatize mental health from orientation onwards. During orientation, first-year students attend a mental health and wellness talk and participate in activities on active listening and sexual consent. Still, respondents highlighted a number of ways to change campus culture surrounding mental health. According to the report, the most common suggestion was to have more talks and information sessions on mental health and wellness. The student government also recommended including faculty and staff in these talks and educating students in ways to support others. According to Student Life Director Sara Rotenberg ’19, the report will now be distributed to relevant members of the college administration. The report will then be discussed by the college on Thursday at 6:30pm in the Tan Chin Tuan Lecture Theater.